It's 1915: conflict comes ashore, and a girl becomes a woman. Amy's world is a cold and inhospitable one of treacherous cliffs and lethal tides that can trap the unwary. The hostile villagers think that she doesn't understand much, but she knows more about that coastline than anyone else there. The unpredictability of the sea brings both loss and discovery into Amy's life that changes it forever. The storm takes the one person she truly loves and yet brings her a stranger that transforms her childhood innocence into the passionate reality of a young woman. The danger is, the year is 1915, England is at war, and the stranger is German. 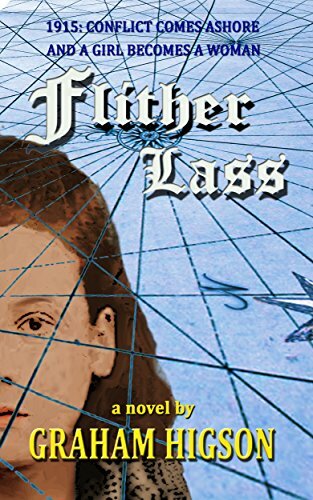 Use the LOOK INSIDE feature to view book contents and don't forget you can download a sample of Flither Lass to your Kindle for free.